This recipe came about because I needed to find a dessert for a fall feast that was free of egg, dairy and nuts AND could be made by kids. Thankfully, phyllo dough fits the bill and so with a few adaptations from a traditionally rolled strudel I had my dish. Feel free to vary it as you like – the fruit can be changed, and nuts and/or other dried fruit could be included too. I made this with a Grade 2 class, and everyone managed to dessert with just a little help. Cutting the fruit is the most dangerous part! Lightly grease a muffin pan. Lay out 2 sheets of phyllo and cut into squares that are just a bit larger than the muffin molds. 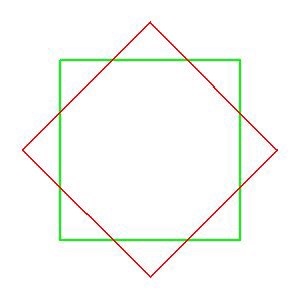 Take one square (both sheets) and stagger the sheets so the corners are opposite. Brush coconut oil over the top sheet, covering the protruding edges of the bottom sheet too. Sprinkle graham crumbs over top (enough to lightly cover the square). Put the other square of 2 sheets over this, offsetting them in the same way. Brush coconut oil top sheet as before. Gently lift the phyllo layers into a muffin mood and press it in (using a wooden spoon handle can help push it to the bottom and along the sides). Repeat this for each mold. Then fill the molds with the apple filling – don’t be shy, they can be full. Bake in the middle rack of the oven for approximately 25 minutes, when pastry is golden and filling is sizzling. ( The best test is to lift one up and check that the bottom of the cups is golden as well.) Let cool in the pan for 10 minutes before removing. Serve with vanilla yogurt, or ice cream or whipped cream if you like. Or you can just sprinkle a bit of icing sugar on top to dress it up!